Perspective. A great mental challenge of being on a team is putting the team’s goals first…even when those goals are in opposition to a player’s personal aspirations. Readiness for change. Athletes and coaches have to be nimble, flexible, and adaptable…that’s the only way to beat a savvy opponent. Detachment. This is a call to not take things personally, but to focus on what they can accomplish, not any perceived slights from the coaching staff. Strength under stress. This one is the name of the game, right? Competition is stressful and, ideally, we’ve equipped our athletes with the tools to manage themselves so that they can shine under the bright lights. Preparation for challenges. No season is without twists and turns, use the good times to prepare for the inevitable downturn. The right attitude toward setbacks. I want my athletes to embrace their personal setbacks, because that means they’ve tried to get better. If they never experience frustration/failure/setbacks, then they’re not pushing hard enough. Self-validation. Many times, I tell my players that only they know how hard they’re working. I can come up with tough workouts, but it’s up to them to make them as challenging as possible. Working hard is a mental exercise and it’s their opportunity to push when perhaps they could get away with not pushing. Patience. Every player on every team at every school wants to win on the first day of practice. Special players and teams have the patience to work every day over the course of a long season. Control. Is your athlete grumpy because you corrected them in practice? Are they disappointed they’re not playing with the first team? It’s our job as their coach to remind them that they, and only they, are in charge of the attitude they present at practice. Endurance in the face of failure. Quite honestly, our athletes’ goal should be to fail every day. I want my players operating at the outer edges of their ability—where failure is more likely—because I want them to challenge themselves to do what they didn’t think they could do. Unwavering positivity. We have to encourage our players to be a positive light on the team. There is always a Negative Nelly on the team, hopefully our athletes will have the guts to stop them in their tracks. Tenacity. Never give up. Come in early, stay late…be relentless about getting better. A strong inner compass. This is a great locker room skill. 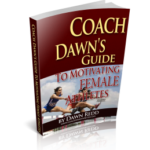 When others may be grumbling, this athlete challenges themselves to do the right thing and support the direction the coach is taking the program. Uncompromising standards. The standard is the standard, regardless of how hot it is, or how many injured players your team has, or how well other teams are doing. Our athletes shouldn’t bring the standard down, but rather rise up to the standard. What if we challenged our teams to do a few of these each day? What if, when presented with a mental challenge, we reminded our athletes that this was getting them mentally tougher for a future opponent? What if we posted this up wherever we practice so that our teams have a powerful reminder of what is required of them…beyond the skill they’re trying to master? What if we framed our disappointment with their lack of engagement/focus/whatever with an opportunity to be mentally better than our opponent? Check out this Inc. article, which served as inspiration for this post.